The Allergy Blog Awards has been set up to help raise awareness for allergies and food intolerances. 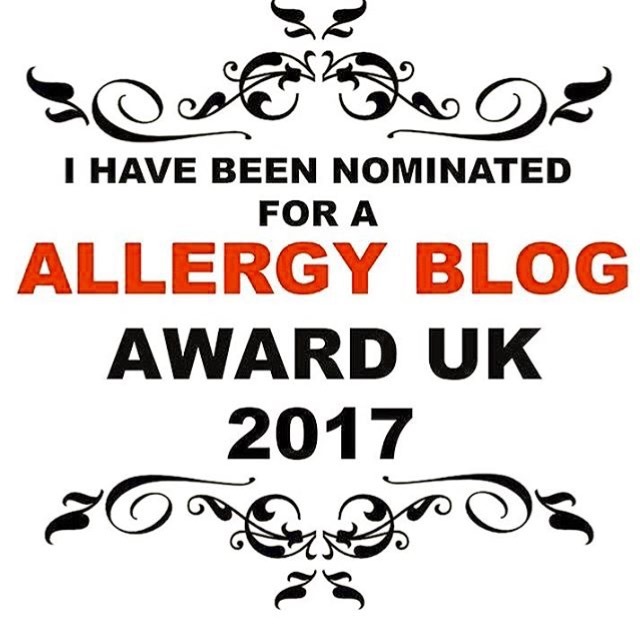 The blogs in the running for the awards are a mix of allergy and food nutrition blogs that exclude certain foods for health reasons, some are run by companies and others are run by individuals like myself. Nutritiously Naughty is up for 2 awards, the Best Newcomer Award and the Free From Recipe Award. If you could find a few minutes in your day to vote for me I would be so grateful! To vote all you need to do is visit http://www.allergyblogawardsuk.co.uk/vote/, enter your name and email address, select Nutritiously Naughty under the Best Newcomer and Free From Recipe sections then press submit. The vote closes on the 30th of November, the finalists are announced in December then there is an award ceremony in February where they will announce the winners. What an amazing opportunity! When I was first diagnosed with Coeliac Disease I would never have thought I would develop such a passion for food and healthy eating. I began to experiment with alternative foods and explore the options available for people like myself, my diagnosis of IBS only fuelled this further. I continue to be amazed by what can be created by just a few simple, natural ingredients. I am so passionate about my blog and the recipes I create so winning an award for something I enjoy so much would mean the world to me! My dream is to help and inspire other people who also suffer from autoimmune disorders and/or digestive conditions e.g. Coeliac Disease, IBS, IBD and food allergies. I am sharing my story via this blog in the hope of shedding a bit of light on the seriousness of these digestive disorders as they are considered ‘invisible illnesses’ and as a result are often seen as minor conditions because the struggle and symptoms are not always visible. Now that I am aware of what I can and can’t eat and take the right precautions with regards to Coeliac Disease I feel like I am in control but this not the same for everyone. I would love to be able to help change this and I believe that the UK Allergy Blog Awards is an amazing opportunity to do so. 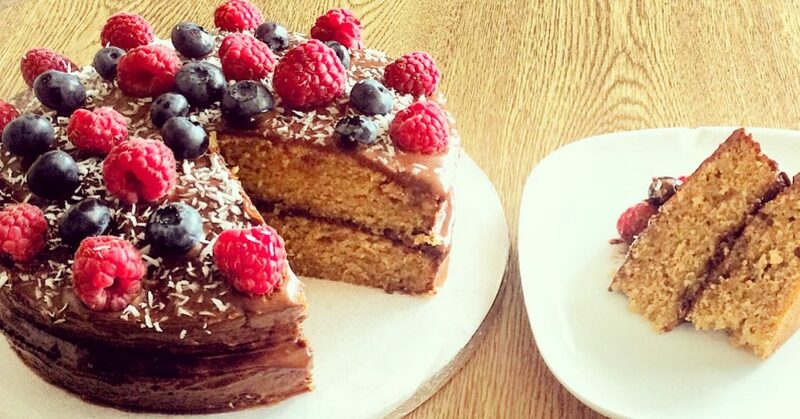 My dream for the future is to release a healthy recipe book providing affordable, Coeliac-friendly, low fodmap and refined sugar free recipes for people with digestive disorders as well as those interested in following a healthy yet simple diet. I am a firm believer in ‘everything in moderation’ and have a major sweet tooth, so I love creating recipes that show people indulgence doesn’t have to be unhealthy! A good example of this would be my Vanilla Sponge Cake.